I collaborated with artist Kathy Hinde to create the video projection and sound piece Laced Words. It was premiered on Friday 22nd February, for the opening night of Bedford Creative Arts Almanac Festival. 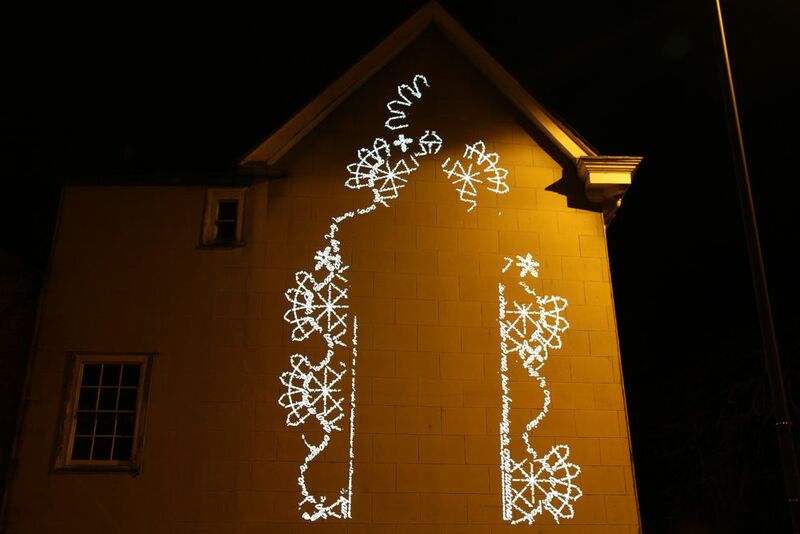 This piece was a development of the temporary public artwork Lace in Place – a beautiful artwork that laced all the windows of the derelict building 1 St Paul’s Square. Bedford has a rich history of lace making and an active group of lace makers called the Aragon Lacemakers. Lace in Place and Laced Words both bring attention to this history, and also highlights an often overlooked building through two temporary interventions. LacedWords from Arabel Rosillo de Blas on Vimeo. 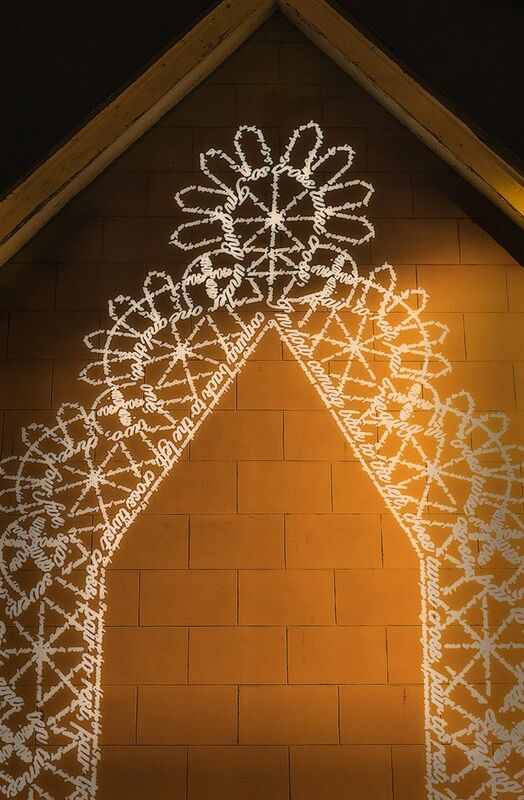 For just one evening, Laced Words laces the side of 1 St Paul’s square with light and words – gradually building up as lace would develop, then dissolving away in patches as it if were eroding. The design was devised to incorporate many features specific to Bedfordshire lace. The lace design was then constructed using words transcribed from Sandra (of the Aragon Lacemakers) describing the processes of lace making. There is a rhythm and pattern to the language which has an intricate repetitive nature. We decided to make some words clear, and other words blend into the pattern and textures of the lace design. To accompany the projection piece, the audience were given wireless headphones with a soundscape of Sandra speaking, with other sounds of lacemaking – clicking of bobbins and pins being placed into the cushion. The soundscape also built up with layers – with some words remaining intelligable, whilst others blend into the naturally rhythmic sonic texture.